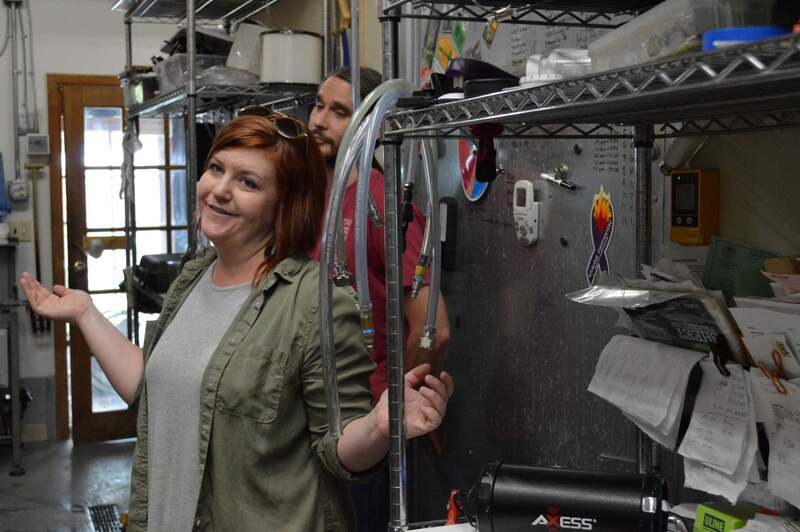 Madeline Bergon, marketing and event coordinator for Riff Raff Brewing Co., gives a behind-the scenes-tour of the Pagosa facility’s brewing system. Head Brewer Kyle Zeck explains Riff Raff’s brewing system at the brewery’s original location. The space has a 3.5-barrel system. 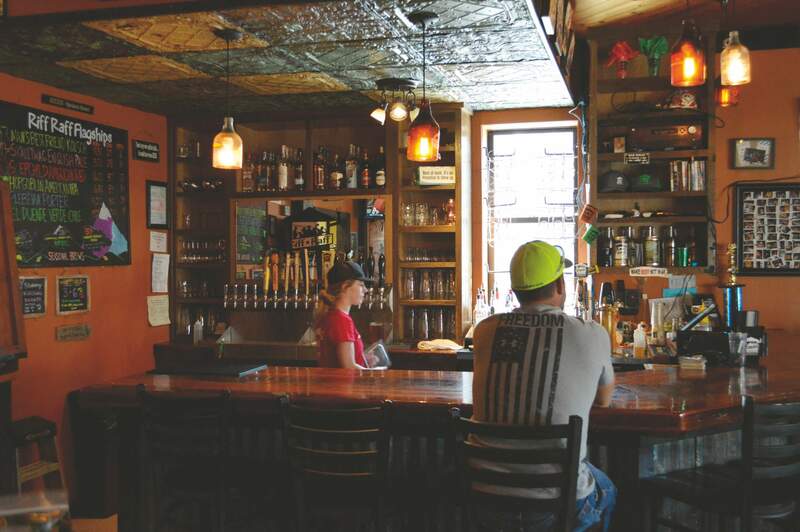 Riff Raff Brewing got its name from a patron who felt like “riff-raff” at other breweries. 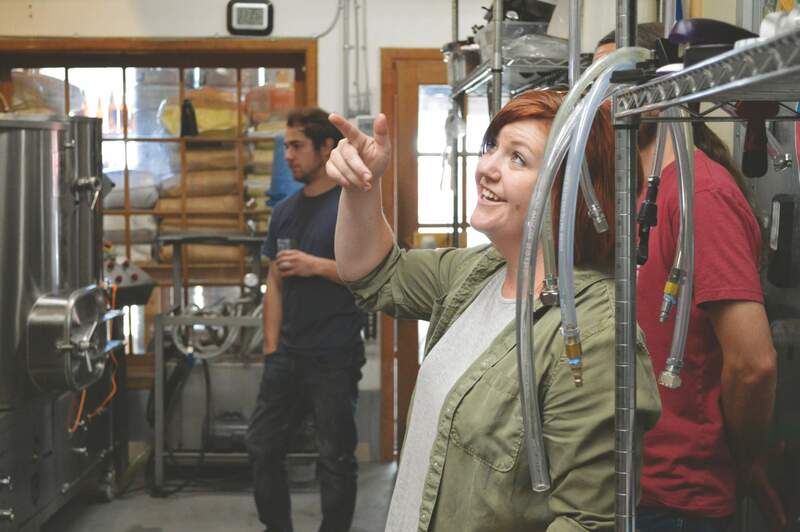 Madeline Bergon, marketing and event coordinator for Riff Raff Brewing Co., has worked nearly every job at the brewery from bartending to working in the brewhouse. A brewery that names its beers after Grateful Dead songs, serves delicious blueberry hazy IPAs, and is haunted by a ghost who hides pennies? Of course the music/beer/ghost nerds at DGO jumped on the Riff Raff Brewing Co. bandwagon immediately. 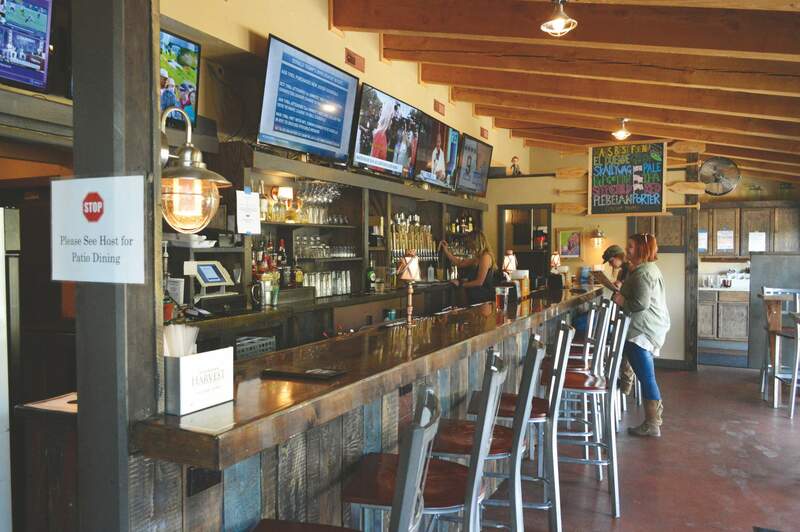 Head brewers Kyle Zeck and Caleb Cook, and Madeline Bergon, marketing and event coordinator, spoke to us this week about their growing Pagosa Springs brewery, their resident ghost, and what they’ll be doing at the 2018 Great American Beer Fest. How many years have you guys been going to Great American Beer Fest? Madeline Bergon: Since we opened, which was 2013. What are you guys going to be bringing to compete with at GABF this week? Madeline Bergon: So, we did two entries. We have the Sunshine Dreamer, which is our American Pale Ale, and then we got on the hazy train, and that one is Embrace the Fruitality – a hazy double IPA. So, those are the two competition beers, and then we’ll bring four to just pour on the floor. So why did you pick those two beers? Madeline Bergon: Well, our head brewer (Kyle Zeck) is pretty into hops, the dankness. So he’s really been playing around ever since he’s come on board, which was in 2016, with the pale ales, and then he’s introduced us to the whole hazy idea. He is originally from Pennsylvania, so he kind of had that influence before he moved out here to the west. He’s always really loved those styles. So we wanted to do something that he was really into. Well, IPAs are huge this year, huh? Madeline Bergon: Yes, but luckily the haziness kind of took the heat off the regular IPA and pale ale category, so maybe there’s a little bit more of a chance there. How do you pick your names? What’s the process? Madeline Bergon: So, I got to name those two (Sunshine Dreamer and Embrace the Fruitality). And I named them before they were even brewed. Kyle, the head brewer, is a really big a Grateful Dead fan, so I was just kind of looking through different songs and references. Sunshine Dreamer is kind of a play on “Sunshine Daydream,” which is a Grateful Dead song. There’s another beer already named that though, so we went with Sunshine Dreamer. And then Embrace the Fruitality – my friend who works here had just gone hiking the CDT (Continental Divide Trail). She was like, ‘Well, one of the phrases on the trail is, ‘Embrace the brutality.’ I was like, ‘OK, well, we can’t name a beer that because that’s a little too aggressive. So let’s go with something fruity, something hazy. Let’s play with that.’ And then it just kind of turned into Embrace the Fruitality. So, it’s kind of a group effort. Sometimes brewers will have a really solid idea. Other times it’s more of a discussion with all the staff and kind of what people are feeling. It was interesting naming beers that haven’t actually been brewed yet. So why do you participate in the beer fest? Madeline Bergon: Well, Jason (Cox), who is one of the founders/owners of the company, he was a pretty big part of the Brewers Association when he lived up in Denver, so he always loved GABF. 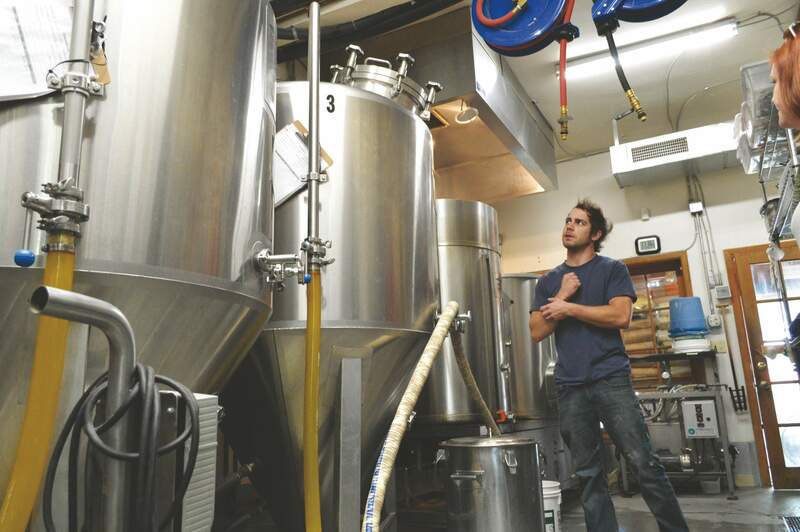 When he started a brewery down here, it was a no-brainer that he was going to go up and continue participating. 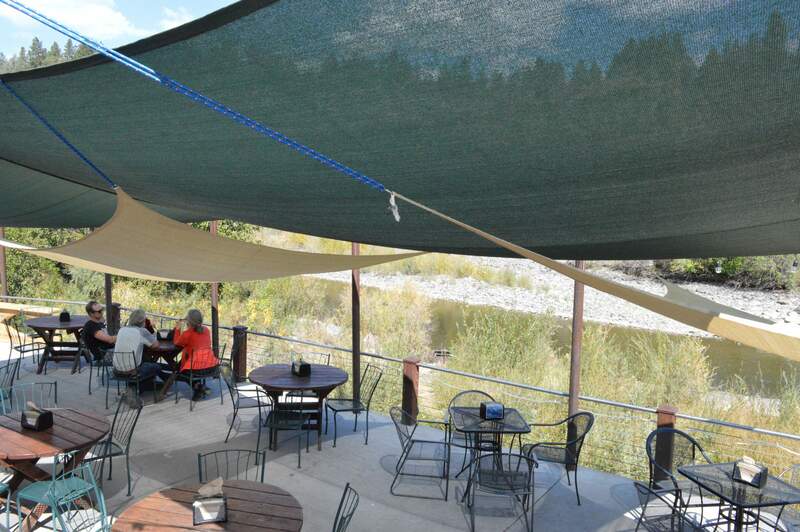 And we continue now at this point just because it helps put Pagosa on the map a little bit more, too. At the booth, I always have a little laminated sheet that’s like, ‘Riff Raff lives here in Pagosa.’ Not too many people are familiar with it. 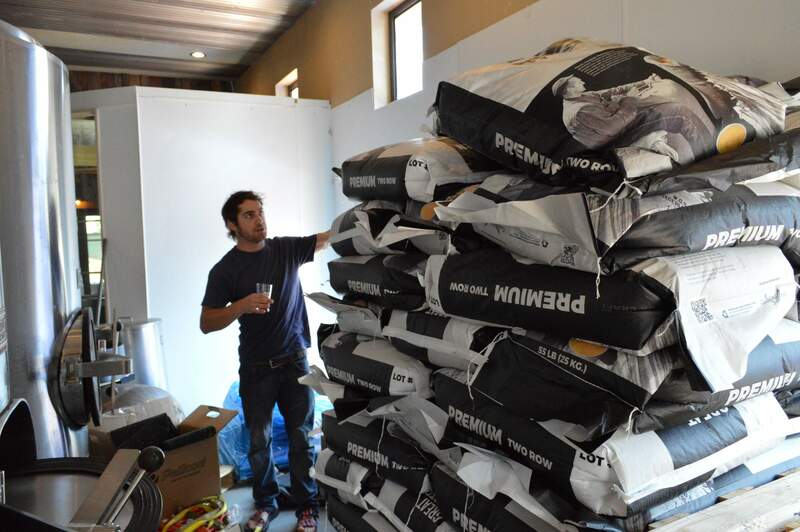 It’s good for us to go up and see what’s new on the beer scene – how everybody’s doing kind of as a broader (group) than just (the) Colorado base. You get to see what folks from the Midwest and Southeast and all those places are doing. Kyle Zeck: A wee little bit. So we’re hoping to be able to distribute more in the next few months. Probably next year. We have a second location now. Madeline Bergon: We just got a 15-barrel system down at the second location – it’s about three-quarters of a mile down the street. This is a 3.5-barrel system, so these guys are double batching every day. Hopefully down there, we’ll be able to produce more in a little bit less time. When did the second location open? 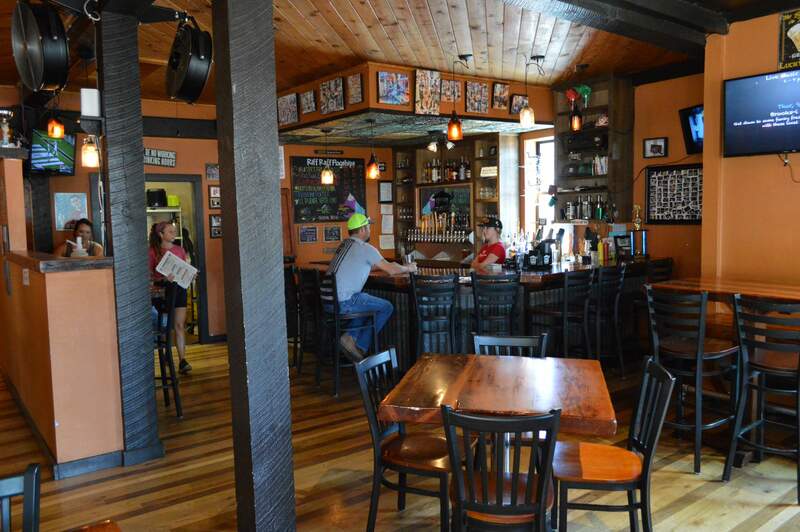 Madeline Bergon: The restaurant has been open since May, but the brewhouse will not be online for another six to eight weeks. It’s called Riff Raff on the Rio. It shares a space with San Juan Strains, which is a dispensary. Right on the river. Super awesome patio space. You’re within a couple yards of the river. So where did the name Riff Raff come from? Did you guys start off in this location? Madeline Bergon: Yeah, so this building actually has a ton of history. It’s super cool. This building is one of the oldest in Pagosa. It was built in 1896. Over the years, it’s been a number of different things. It was a doctor’s office. It’s been a residence. Probably the most interesting – it was a mortuary. Madeline Bergon: Oh, totally. Arabella? She hangs out with us. She likes the brewhouse a lot. Arabella – that’s the name that we decided on for the ghost. It’s been reported from other people that have occupied the space that she’s a woman in a brown dress. And when Shelly (Cox) – one of the co-founders – when she was looking at the history of the building, she found the name Arabella somewhere and she mentioned it to one of the previous owners of the building. She said both of them just got chills, and so they just decided that was the name. She is a trickster. She loves throwing pennies at people or leaving pennies in really weird spots.